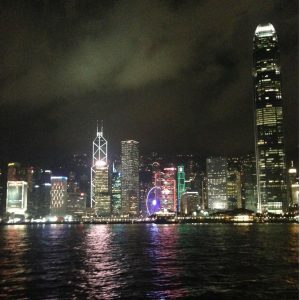 The best places to run in Hong Kong 2018! 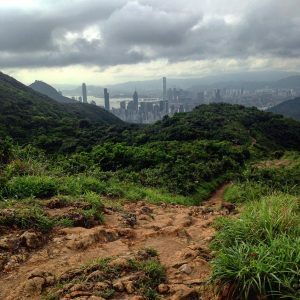 When you think of Hong Kong, running may not be the first thing that comes to mind, well maybe a treadmill in a gym…but the city and streets are only a small slice of what Hong Kong has to offer. The country parks we have in our backyard cover a total area of 44,300 hectares. More nature than you can shake a stick at! On our doorstep we have scenic hills, woodlands, reservoirs and rugged coastline. All easily accessible. The small remaining area is our beloved city. Hong Kong really does have it all. In the city we call home, we have hundreds of thousand of people who love to run. Some run for fitness and fun while others love the competitive challenge of racing. 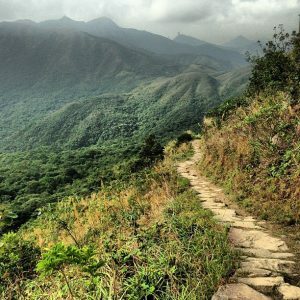 At HK Running we have run and mapped over 650km of the best running routes in Hong Kong. Our hope in doing so is to cast some light on some great running spots you might have not yet discovered, and to get you exploring new places with ease. It may seem like a lot, but we have only just scratched the surface of what’s out there! We have also added creative route names to bring some adventure back into your run! Below we have listed our favorite routes to run, whether you’re a seasoned athlete or just getting started. We have split our list into 2 groups. ‘Beginner’: someone who is just starting out, and ‘Runner’: someone who has been running for a year or more. Maps and more route info on our Website. 1) ‘Pacing Prefontaine’ – 2.9km. A popular short route for road runners with nice views of HK and Kowloon as you run along the HK waterfront past the ferry piers. 2) ‘Gucci Dog’ – 3.4km. 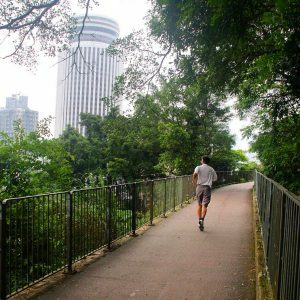 A suberb run with the some of the best views of Hong Kong as you run around The Peak along Lugard Road. Make sure you go on a clear day or night. Clockwise or anti clockwise, both are great! 3) ‘Star Struck’ – 7.7km. A classic run that will take you along Kowloon waterfront. Start from the famous clock tower, the route takes you to Hung Hom and back. Fantastic views of the Hong Kong city and skyline. 1) ‘Quality Street’ – 4km. 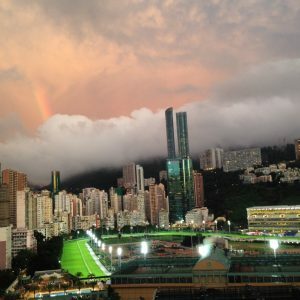 The stomping ground for many HK Runners. A nice flat route with great views of the city as you run by. 8km out and back on Bowen Road. Start from the beginning by walking up to Bowen Road from the bottom of the Peak Tram. 2) ‘The Top Down Approach’ – 5km. It’s all down hill as you descend 270m along quiet back roads starting from The Peak running down Barker Road, and into the city. 3) Combine ‘Shark Bait’ and ‘Room with a View’ for the ultimate sea view run. Start from Repulse Bay. Both runs together – 6.7km. The south side of the island is the place to be if you like running and great views. 1) ‘She’s Just Playin’ 4.5km in Aberdeen Country Park. It’s a great place to start trail running and see what it’s like. 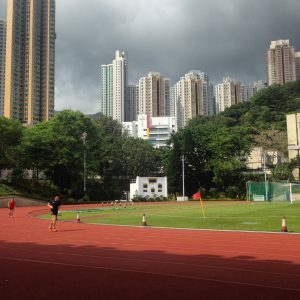 Start from Wan Chai Gap Playground and run the loop around Aberdeen Upper Reservoir and back to the start. 2) ‘Short and Sweet’ – 6.5km. This route is around 70/30 trail to concrete, a little more undulating but very enjoyable. The trail starts on Nam Fung Road just up from South Island School. 3) ‘Training Day’ – 9.4km on Lantau Island. More trail and elevation to enjoy, and a little more technical. Start from Mui Wo and run along Lantau Trail section 12, finishing in Nam Shan. 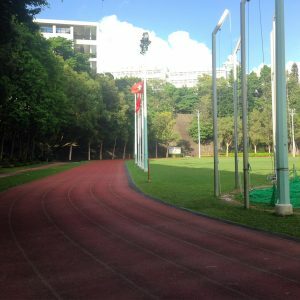 1) ‘The Shadow’– 8.25km.The run takes you through Tai Tam Country Park. 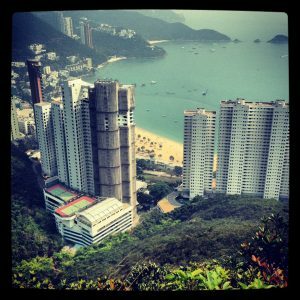 Start from Wan Chai Gap Playground, and run along Blacks Link, finishing in Repulse Bay. 2) ‘Crossing the Kong’ – 14.5km. A tough route, as you literally cross Hong Kong from South to North. Starting at Chung Hom Kok beach, over the twins and violet hill, then toward and finishing in Quarry bay. 3) ‘Rocket Man’ – 16.7km. An amazing run with lots of elevation and great views. From Kei Ling Ha in Sai Kung follow the Maclehose Trail, finishing in Shatin Pass. Tracks are great, but be warned that they can be tough if you get bored easily! 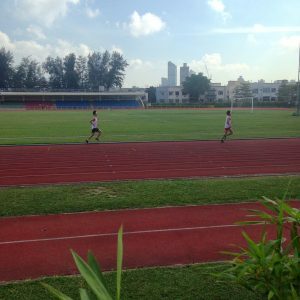 Mainly used for training, there are a good selection of athletic tracks available for use in each district. Remember to check out track maintenance schedules and opening hours on the website (link available on each track page) if planning a visit to one of these. Dedicated to showing inspirational running films from around the world. We don’t focus just on trails, track, road or ultra running; we focus on human-interest stories that use running as their medium of storytelling. What do I eat before or during my run!!? Runners must not only take the time to stretch and limber up their muscles, but they should also pop a bite of something delicious into their mouths before they run. Treadmills are an investment, but the best ones are worth the money. Reviews.com looked for well-designed, ergonomic machines at a range of prices and tech levels to suit the needs of everyone from casual joggers and fitness fanatics. After comparing stats and putting nine treadmills to the test, they arrived at four models we liked for different workout styles.